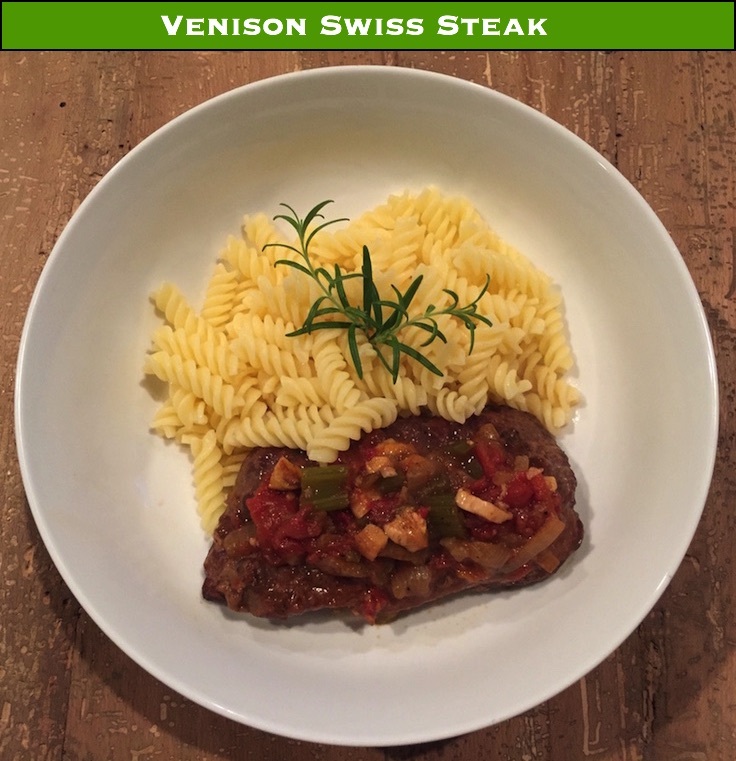 Venison Swiss Steak – get a super tender result with with a double tenderizing method – pounding then braising. Swiss steak is one of my wife’s favorite wintertime meals. And I don’t think it’s a coincidence that this is one of her favorite venison recipes as well. 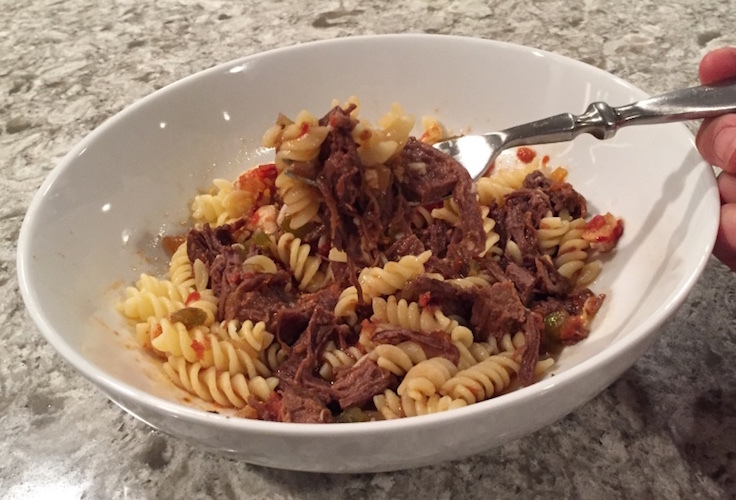 Between the deer and the vegetables, I typically make this mostly with ingredients we’ve grown or collected ourselves – with the exception of the spices and noodles. Fine, and the celery. We haven’t tried growing celery yet. Anyways, knowing where (most of) your ingredients come from seem to make a meal better. Swiss steak is typically made from a tougher cut of meat, and goes through a double tenderization process: you bludgeon it into a flat steak, then you braise it low and slow. I was curious why the Swiss were credited with this method of cooking. Perhaps some dark history of how they treated witches in the middle ages? Alas, it turns out the phrase has nothing to do with the Swiss as a people, but a textile preparation involving pounding and/or rolling it to make it easier to work with. Sigh. Not quite as interesting. 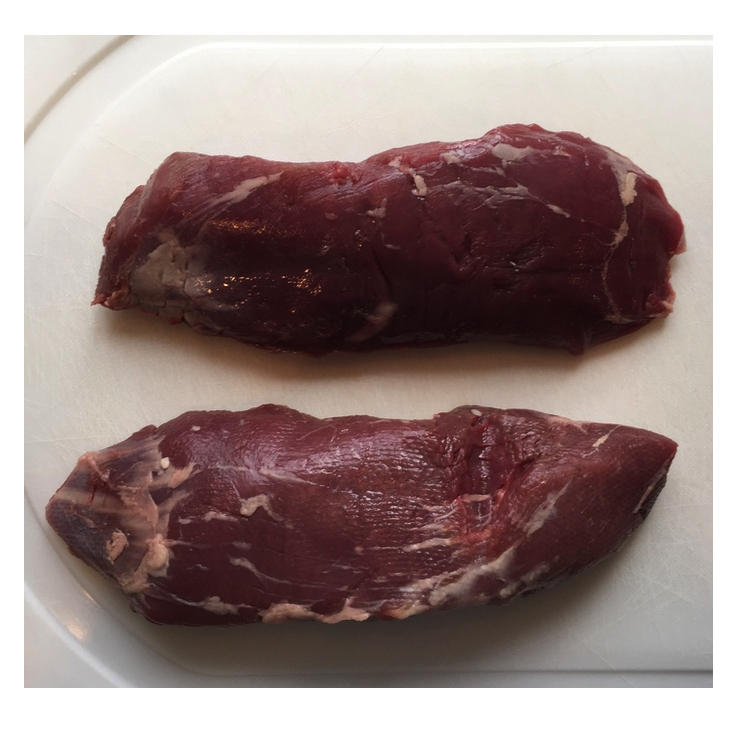 Venison Eye of Round – looks like a tenderloin, but you DON’T want to confuse the two! My personal choice is to use either blade steaks from the shoulder, or eye of round from the rump. 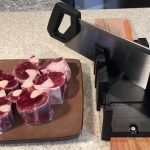 The way I process the front quarters, I’ll get two triangular steaks per shoulder: one from either side of the blade. I’ll package these together for a meal such as this. For the rump, I break the rear quarter down to its main roasts: sirloin tip, top round, bottom round, and eye of round. The eye of round sits on the back of the leg between the top and bottom rounds. It looks kind of like a tenderloin, but it’s about 50 times tougher. 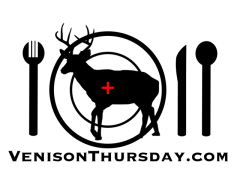 I take the eye from both rear quarters and freeze them together – they aren’t that big on their own – a nice sized doe will net you about 1.5 lbs for both eyes combined. 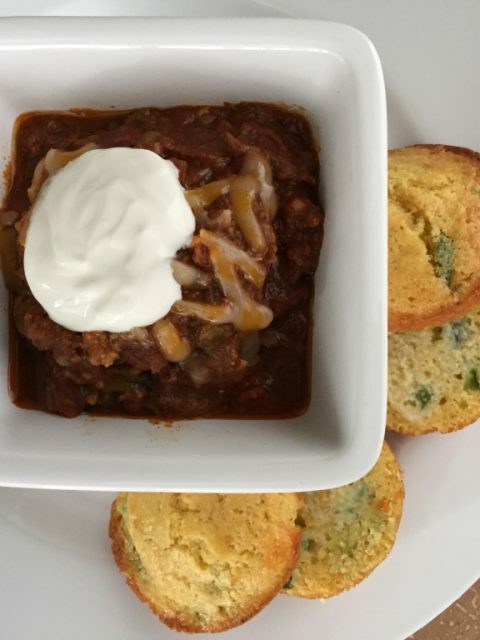 Again – perfect for this recipe. 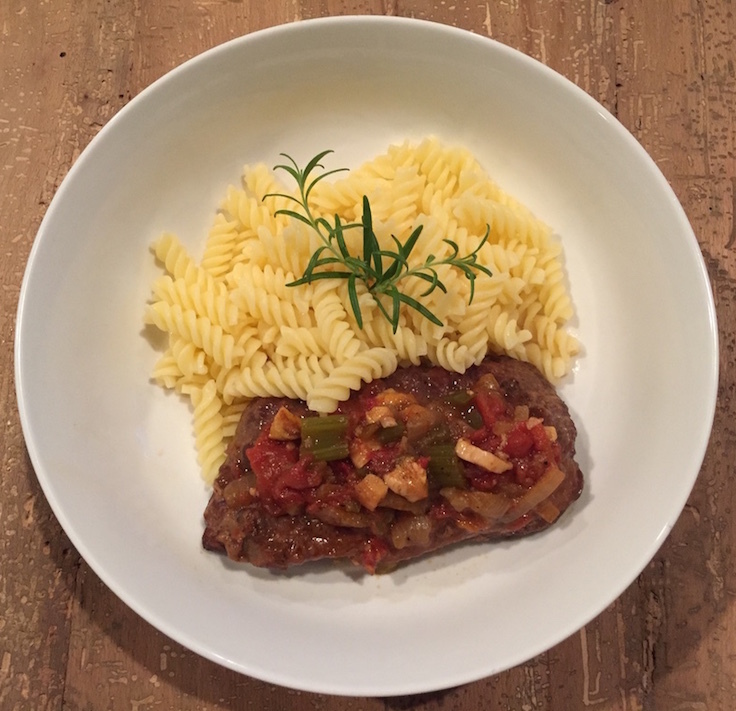 This swiss steak nicely holds it’s form when it’s done, but is tender enough to shred with your fork. Start out by tenderizing the venison like I cover here. 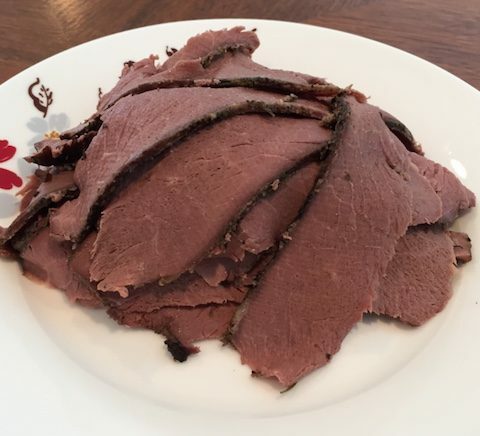 If the roast is particularly big, slice it ALONG the grain in half. It will take more work than the loins do, but I was able to flatten the eye of rounds you see in the pic to a nice even 3/4ths of an inch steaks without needing to slice it. Salt, pepper, and garlic powder both sides of the steaks. Put enough vegetable oil in the bottom of your dutch oven to cover it, and heat it on the stove on medium. Dust both sides of the steaks in flour, and sear both sides in the dutch oven. Don’t crowd them – if the steaks are large, do one at a time. Once both sides are nicely browned (few minutes per side), put them on a plate to the side. 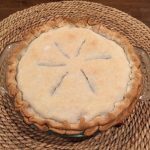 If you got a lot of burned residue in the bottom of the dutch oven, wipe it out (I have a habit of doing this – cooking it a little too high!) and add more oil. If not, continue to use the oil and drippings that are in there. Sauté the onions, garlic, and celery, till the onions turn translucent. Add the peppers and sauté for a minute or two. Add the tomatoes, the broth, the worcestershire sauce, and the paprika, and stir. Bring to a boil. Submerge the venison, cover and transfer the dutch oven to the oven. Cook for 3 hours, or until the venison is tender. Serve on your choice of noodles, potatoes, or polenta!